We can all picture the scene. A tennis match goes into a tiebreak and whether it is via the commentators or via a graphic, we are informed that one player is 6-4 in tiebreaks this year while his opponent is 4-6 during the same period. As a result, we are informed that the former is clearly the favourite for the tiebreak. At the most basic level, a player's win-loss record in tiebreaks over a given period of time is the obvious place to begin when we are looking to quantify how good a player performs in tiebreaks. However, as with virtually every tennis statistic, it fails to do anything more than scratch the surface in terms of improving our understanding of how good players really are in tiebreaks. Consider the following examples. Milos Raonic plays 100 tiebreaks against Yan Sabanin, the current world #1000. He wins sixty of those tiebreaks and loses the other forty, giving him a tiebreak record of 60-40. At the same time, Robin Haase plays 100 tiebreaks against the current world #1, Novak Djokovic. He wins forty of those tiebreaks, but loses the other sixty, giving him a tiebreak record of 40-60. Now, simply using the basic W-L records for Milos Raonic and Robin Haase, we would suggest that Raonic is clearly the better tiebreak player. However, in reality, we would have expected him to win far more than sixty of the tiebreaks. Let us assume that we would expect him to win ninety of the tiebreaks. Based on this, we could say that Raonic has actually won thirty fewer than we would expect. At the same time, maybe we expected Robin Haase to win thirty of the tiebreaks against Djokovic. Thus, he actually won ten tiebreaks more than we expected. Would we still claim that Raonic is the better tiebreak player? This is the basis of the analysis that I have done to look deeper into which players overperform our expectations in tiebreaks and which players underperform. First, the slightly boring part - a brief overview of the methodology and data. Using data for every ATP and Grand Slam main draw between the start of the 2010 season and the end of Indian Wells 2015 from Tennis-Data, I compiled the actual tiebreak record for every player that has played a main draw match in that period. Using the Pinnacle closing price for each of these matches, I calculated probabilities for each player winning each tiebreak that they played during the period. Match probabilities can be calculated from projected service hold percentages - each combination or ratio of service hold percentages corresponds to a particular match probability. Working back from these match probabilities can generate average service hold percentages, which can then be used to generate probabilities for the tiebreaks in that match. Obviously the actual tiebreak probabilities may have been slightly different based on various momenta and situations in the match, but over a large enough sample, this should be negligible. Once we have tiebreak probabilities for each tiebreak, we can sum these up for each player to generate expected tiebreak win-loss records. This is what we would expect that player's record to be if he were a perfectly average tiebreak player at that player's overall level. By comparing the expected wins to the actual wins, we can see which players out-performed expectations and which players failed to meet expectations. Due to small sample sizes for some players, I decided to exclude any player that had played fewer than 30 tiebreaks during the five and a bit year period that the data covers. So, which players are the best tiebreak players? 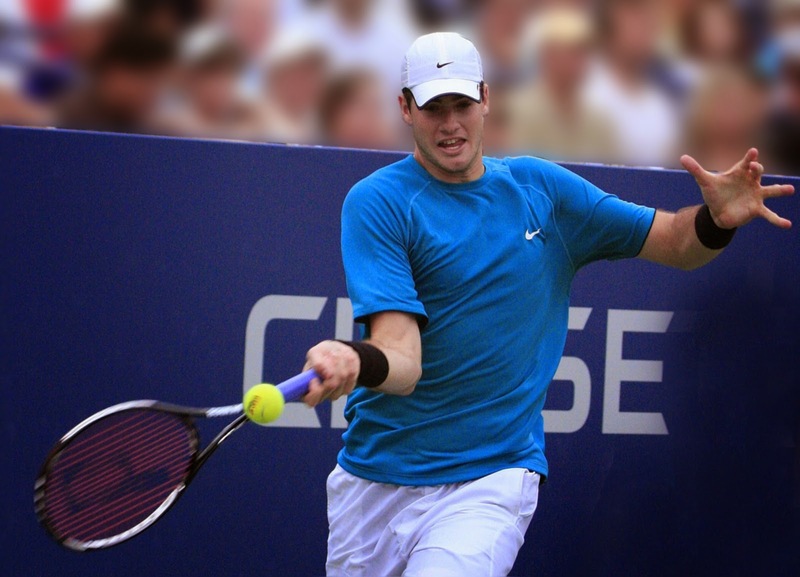 John Isner is a name often mentioned when it comes to determining top tiebreak players. His 180-97 (65.0%) record stands up to the best of them. Our new method backs up this claim. He would have been expected to win 153.3 of the 277 tiebreaks that he played during this period, so he actually won 26.7 tiebreaks more than we would have expected, which translates to 14.8% more than expected. Novak Djokovic also has a strong winning record in tiebreaks with a 74-50 (59.7%) record. However, we could postulate that he would have been a reasonable favourite to win the majority of those tiebreaks. The new method backs this up - we would expect him to win 82.5 of the 124 tiebreaks. So, he actually won 8.5 tiebreaks fewer than we would have expected, which translates to 11.4% fewer than expected. So, despite his strong winning record, we could suggest that Novak Djokovic actually performs less well in tiebreaks than we would expect him to do, given his overall level of play. In fact, all of the Big 4 tend to fall short of expectations in tiebreaks. Rafael Nadal wins 4.4% fewer than expected, Andy Murray is 5.3% fewer, while Roger Federer wins 6.6% fewer than expected. Kei Nishikori is a player to keep onside in tiebreaks, outperforming the expected wins by 7.0%, while Milos Raonic outperforms by 9.2%. That covers a number of the big names, but which players are actually the biggest overperformers and which players really should be avoided in tiebreaks? Steve Darcis has an exceptional tiebreak record. Given we would expect him to have had a losing record, a 23-7 actual record is quite astonishing. Tiebreak wins over the likes of Rafael Nadal, Andy Roddick, Nikolay Davydenko and Stan Wawrinka are all outstanding wins for a player of the level of Steve Darcis. There are also a number of names on the list that might stand out to those that have looked deeper into tennis statistics. The likes of Nick Kyrgios, Fabio Fognini and Joao Sousa are all players that generally seem to achieve results that are beyond what many of their serve and return statistics would suggest that they should. Their presence at the top of the tiebreak list might help to shed some light on this - they win far more tight sets than one would expect them to win. For a player such as Fabio Fognini, who is hardly known for his mental strength, his presence here might surprise many. It will come as no surprise to any tennis fans to see Robin Haase bottom of this list. Given we would expect him to have a record close to 50%, his actual record of 27-60 (31.0%) is quite frankly awful. In terms of perceived mental strength, the presence of the French pair of Edouard Roger-Vasselin and Paul-Henri Mathieu is hardly a surprise either. One might suggest some form of suspicion at the presence of the trio of Russian players at the bottom of this list, but that is for another day. This new method of analysing a player's ability in a tiebreak is still far from perfect. However, I would suggest that it gives a better impression of how players perform in this particular situation than their simple tiebreak win-loss record. For the top players, the fact that a set has reached a tie break implies that that the opponent is playing better than pre-match expectation (or the top player is playing worse) so I think that explains their relatively poor performance. Absolutely fascinating. Djokovic aside, the top 4 all perform equally less well in tie-breakers. The commenter above may have a point - alternatively, maybe Pinnacle over values the chances of top players? It would be interesting to see the rest of the data and see if, for example, the rest of the top 10 have a similar over-value.